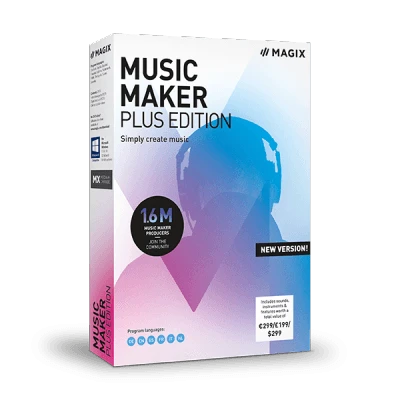 With the 80s Edition of Music Maker, you get twisted poppy synth sound, pumping bass lines, legendary drum machines and instantly recognizable synth leads. 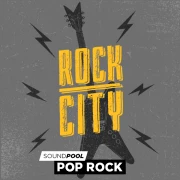 Our 80s soundpools sound downright retro! Synthesizers, analog and electronic, iconic drum sounds with just a pinch of nostalgia. Browse through thousands of loops and get inspired. Drag & drop to combine them any way you want. And yes, loops fit perfectly together just like building blocks. Find out more in our video to see how it works! With the 80s Edition, you can choose up to 3 different 80s soundpools for free. 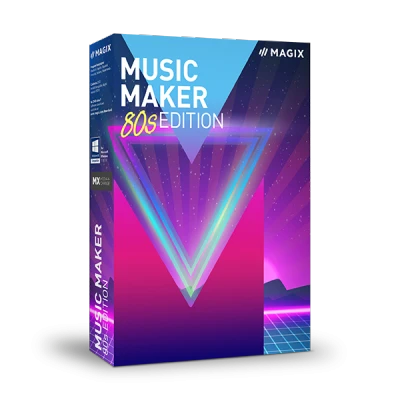 The 80s Edition of Music Maker comes equipped with 425 loops & sounds. 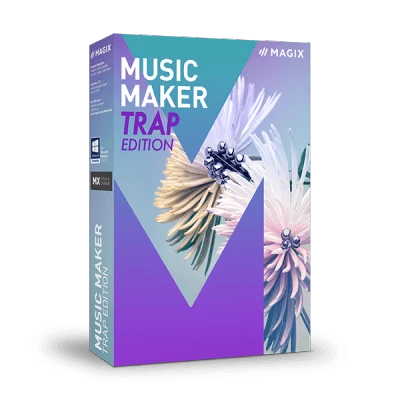 This allows you to produce all different kinds of beats and songs. The 80s Soundpool, Vaporwave, consists of various sound building blocks. This includes 15 bass loops, 21 synthesizer samples and 8 drum kits. They are available in 7 pitches and are easily combined together! 7 pitches mean 7 times more possibilities! Each sound has 7 versions in different pitches to ensure as much variation as possible. Typical 80s sounds like 808 drums and analog synthesizers are instantly recognizable. Control the sounds in your tracks via the keyboard, mouse or MIDI controller. With the 80s Edition, you also get to choose one additional software instrument for free like Space Pads, for atmospheric surfaces, or Analog Synths, with more than 450 presets from legendary synthesizers. 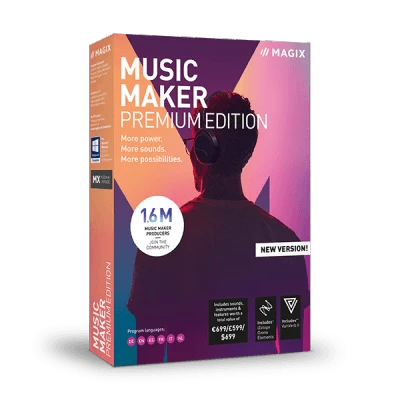 The perfect start: Each copy of Music Maker includes a virtual freeware synthesizer, a free concert piano and sample player Vita 2. Develop your own zany synth sounds, atmospheric basses, classical piano chords and completely new sounds. The integrated screen keyboard offers two different options to make music: The first mode reflects traditional piano design and offers access to the MIDI chord and arpeggio function. The second mode doesn't have your typical piano design. By selecting various scales, it automatically only plays the notes that fit the song you're working on. With MIDI, feed your ideas for melodies, rhythms, chords and big arrangements into Music Maker. These MIDI patterns can be then played by the software instruments without forgoing the usual quantization options. Connect a microphone or an MIDI controller and start your own recording. You can also turn old samples from back in the day turn into today's Vaporwave sounds. Create the signature retro sound: Countless professional effects send your sound on a unique journey through time. As crazy as the 80s: The effects area delights with typical echo effects, professional wah-wahs, chorus and echo sounds. Wilder than the haircuts from your favorite decade: Vandal SE is a genuine guitar amplifier and brings the needed rock to your sound. "With Music Maker, I finally have all the ingredients for aesthetic Vaporwave tracks[...]." "When I heard my own song playing on my Walkman, my hair stood on end and I felt goosebumps." "Making music with Music Maker is easier than tying shoelaces!"